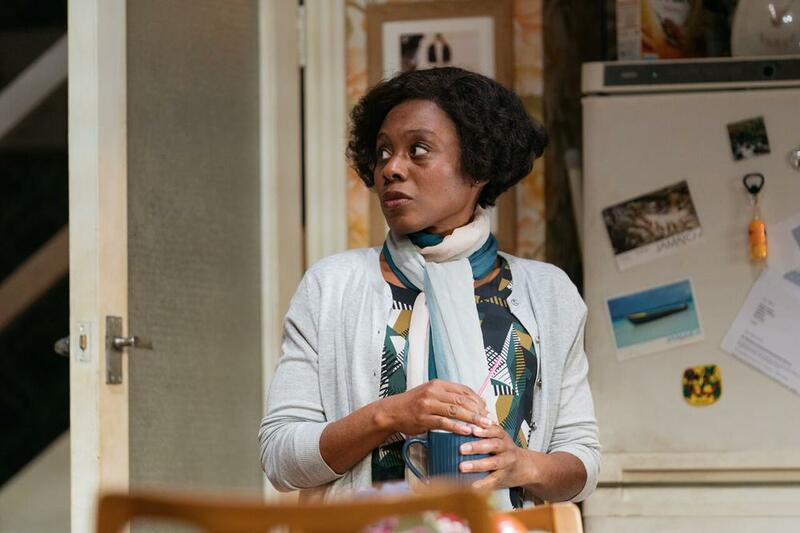 In Natasha Gordon’s Nine Night at Trafalgar Studios, Gloria is dead. She came to England on the Windrush, leaving behind her first-born daughter Trudy in Jamaica. Now her clan is gathering for nine days of mourning at her home. Present are her British-born son and daughter, Robert and Lorraine (who gave up her job to care for her dying mum), her radical granddaughter Anita and a host of aunties and uncles. Then Trudy blows in bearing gifts and old resentments. 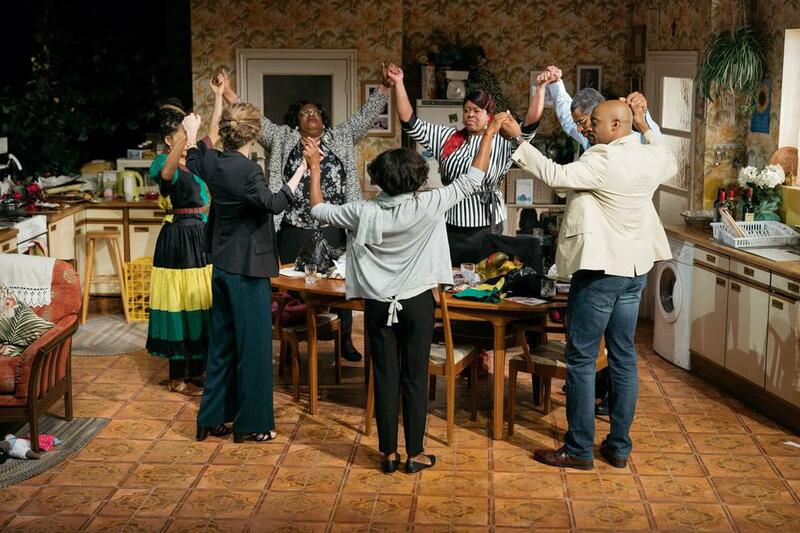 Is Gordon’s play—which takes its name from the Afro-Caribbean custom of nine days mourning for the dead—a great play? Hell no: it doesn’t quite hold together, some strands just trail away, and there is more than a touch of the TV sitcom about it. But, who wants a great play when you can have one as alive, heartfelt and raucously enjoyable as this one. The Company of Nine Night. Photo by Helen Murray. Gordon—who also plays Lorraine, a woman left bone-tired by bereavement and duty—is an actor turned writer, and it shows. She knows how to write a line which sings off the stage and characters who have some meat on their bones. She also knows to write about grief, the way people mourn differently and how there is nothing like a wake to bring sibling rivalry to the fore. Natasha Gordon in Nine Night. Photo by Helen Murray. Just as Ellie Kendrick’s Hole at the Royal Court is important not just for itself and the way it plays with form but because it lays a claim to the space itself, so Gordon’s play lays claim to the West End as a place where different stories can be told. 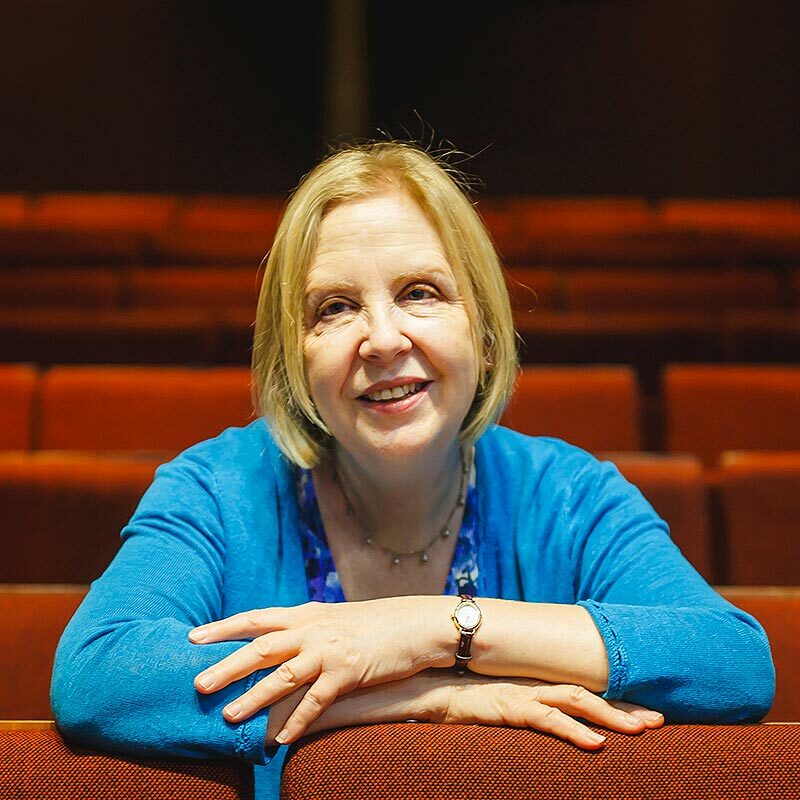 Gordon is the first female British born writer of colour to have a play in the West End, and—like Misty before it—it lays down a marker. It says we are here. These are our stories. Listen. And when we do, we hear and see something we haven’t heard and seen before and which is very, very funny and feels very, very true. 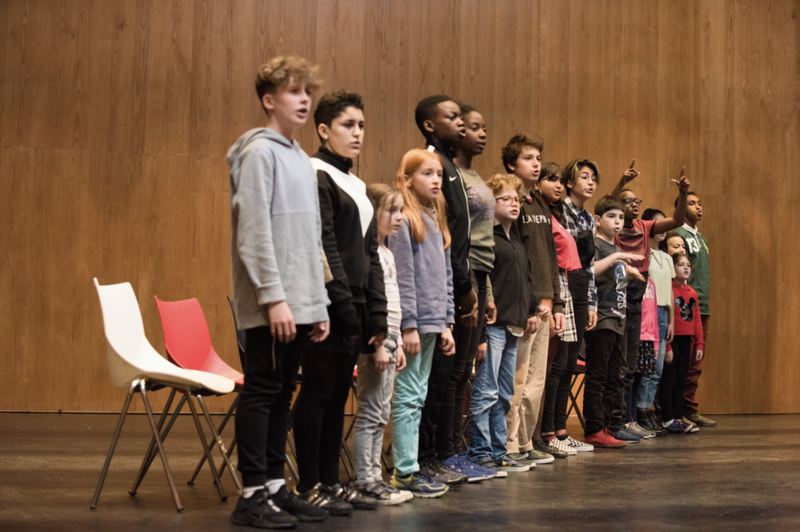 You can say the same about Tim Etchells and Forced Entertainment’s That Night Follows Day at the Southbank in which 17 children aged eight to 15 from many different backgrounds hold the stage and tell us some home truths using English and several other languages including signing. The signing adds a brilliant, expressive visual layer to a show about the slipperiness of language, the way it limits and boxes us in, and the uncertainties that lurk under some of the truisms spoken by adults. Seeing the adult world reflected back out of the mouths of babes makes you sit up and really listen. It is galvanising. The company of That Night Follows Day. Photo by Forced Entertainment. Those familiar with the work of Forced Entertainment will recognize the format of the show which offers a catalogue of statements, artfully arranged so that they bounce off of each other, creating chains of thought which sometimes simply break and sometimes snake back on themselves. The effect is cumulative. Something you heard in the first couple of minutes becomes changed by something said later. There is no narrative, but you can build your own. 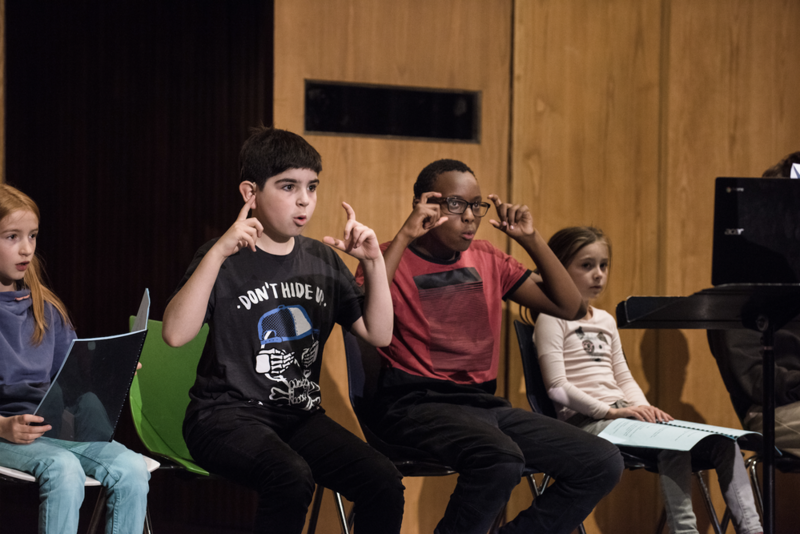 What is rare and provoking in this wryly entertaining and always unexpectedly revealing and candid hour, which is performed by children but designed for adult audiences, is the way it highlights how rarely kids get to speak for an hour without being interrupted by adults. How rarely they get to take centre stage. How much they are excluded not just from the narratives of theatre but from theatre spaces themselves. It’s good to see them taking up the space and reflecting us back to ourselves. It’s sometimes squirm-making. It’s sometimes uncomfortable. But it is always thought-provoking and makes you ask the question: do we use language or does language use us and box us in? Tip: if you follow Natasha Gordon or Tim Etchells on the Stagedoor app, the next time they have work on in London it will be at the top of your personalised recommendations.